Video excerpted from "Tao of Martial Applications DVD series Volume III"
Recently a question arose in the Yahoo Email Group of Classical Tai Chi regarding the statement: "Every movement in Tai Chi Form has to have 2 complementary sides of the body, a moving part Yang and a stationary part Yin. When the yin-yang junction is located in the torso of the body, it is an internal move. When it is outside of the torso, it is an external move." This statement has we have said before was the most important statement made by Wu Chien Chuan to his student Young Wabu. You can find this statement on p. 2 of the book "Uncovering the Treasure" by Stephen Hwa Ph.D. and it is available at Amazon. The statement was challenged by someone who asked: "Can someone please explain to me how this conforms to the classics of "when moving, there is no place that does not move". "When still, there is no place that is not still". 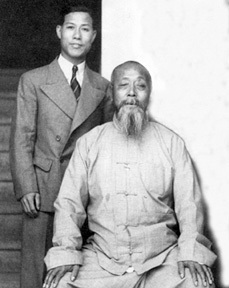 He continued by saying "The statement about 2 complementary sides, moving Yang and stationary Yin sounds like a broken posture as how a force can pass through the body, if it is not working together as a unit, moving as one". Master Stephen Hwa has written the following response on October 6, 2011 to the question and challenge, the video above provides an illustration of his major points about holding the body still while executing a movement that sweeps the leg of the opponent. The video very graphically shows how the movement only works if the nonmoving side of the body is held very still. Further information about the "Sweeping Movement" is contained in the topic "The Concept of Yin (nonmoving) and Yang (moving)" on pp. 50 - 51, "Uncovering the Treasure" by Stephen Hwa, Ph.D. These Classics started became known in the 1930-40s when book about Tai Chi started to be published in China. These writings reported in those books are a collection of short works attributed to different authors from Chang San-Feng to anonymous authors. Even though their authorship cannot be verified, they are considered to be the holy writ on Tai Chi. 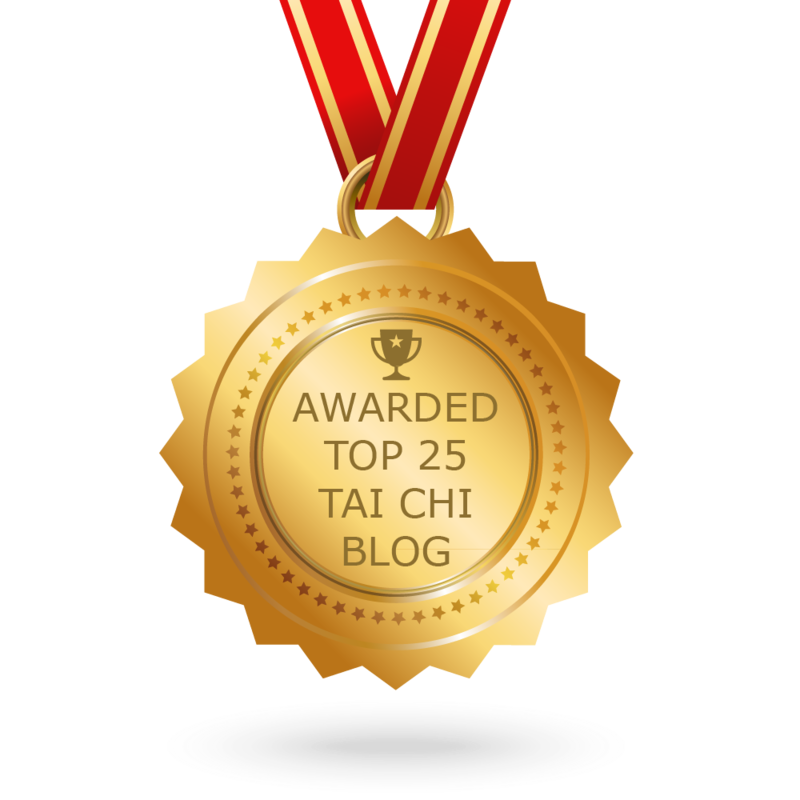 They do contain some insights and principles of Tai Chi; but also some glaring mistakes. How is that possible that both good and bad could be contained in one work. My suspicion is that there is more than one person involved in the writing as we see now. One of my ancestors in the fifteen century wrote a collection of short poems. We have the original hand written manuscript which we published three years ago. During research, we discovered that these poems have been published six times over the years. Many of the published poems are identical to the manuscript; but some have been altered – the later version has more alteration than the earlier version. Apparently, these publishers exercised their poetic license trying to add what they thought a better wording. This kind of alteration is very common in old writings in China and also in the west, such as the bible. The church has devoted inordinate effort to select an acceptable version of the bible. Two major mistakes in the Classics are: "when one part moves everything moves" and "The jin should be generated from the legs". The later was discussed in Forum 11. During our last work shop in Buffalo, I warned everyone that you would be challenged by "when one part moves everything moves" when you talk about Classical Tai Chi in public Tai Chi gathering. So you better be prepared. First of all, any martial art move depends upon rooting, there will be a nonmoving part of the body attached to the ground to provide the rooting. Only external martial art which uses push off to generate momentum to attack can qualify "everything moves". In addition, some of these rooted moves, the requirement of nonmoving is very dramatic. 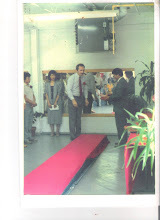 During one of the Jou Tsung Hwa Birthday Celebration Gathering ( David Brown was there), I demonstrate this point by asking audience to do a leg sweeping move by standing on one foot and sweep the other leg and move their body with it just slightly. I heard many "ouch" sound from the audience. Then they do the same move while keeping the side of the body above the standing foot still. There was no pain in the knee and delivered a much more powerful sweep. I think you all need to keep this demonstration in your pocket. Because, you will need it in the future. My own teacher of Classical Tai Chi would probably shrug his shoulders at my revelations here; no big deal, because he knows this already. But at the heart of it, I guess I will always talk as a "westerner" and seemingly be amazed by things, (as his wife Eva has said to me in so many words, we should rue the day when we stop learning) no matter how much Tai Chi I learn. The Wu Style but more comprehensively Classical Tai Chi talks about "ting jin" and the sensitivity that enables it. Undoubtedly at its finest it picks up even the most subtle sensations of an opponent's movement. Then, I feel there is our ''ting jin", our sensitivity when it comes to our own bodies and our minds. Some would call this self-awareness, self-sensing, somatics, etc. It has become quite well accepted that calming the mind through Meditation can have good effects on one’s body. What has not been well documented, much less accepted is the flip side on how calming the body can have good effects on the mind. In his book “Uncovering the Treasure”, p. 31, Stephen Hwa makes the case that mind and body have a relationship which proceeds from the initial difficulty of learning and total engagement of body-mind. One is struggling to learn in the beginner’s stage, one has to think about everything they do, one has to memorize the movements. The training then makes a progression toward disengagement of body and mind. One has memorized the movements, one no longer has to think of what comes next or how to do things . So this clearly differs from what the meditative traditions state when they say body and mind are inseparable and stay as “one” during Meditation itself. In one sense Tai Chi is similar to meditation with a starting point of “oneness” of body-mind but in Tai Chi the end result is what might be called disengagement of body-mind. The result of this disengagement is that the mind, no longer having the difficult tasks to do, can simply monitor sensations of stretching and energy circulation in the body itself. This is where the term “sensation” is joined with the idea of enjoyment; but the idea of sensitivity to sensations along with feedback from sensations is an overall prevailing theme. In Uncovering the Treasure, Dr. Hwa talks about the word "sensation" about 20 times, it is indeed quite important. More than any other style of Tai Chi I studied, Classical Tai Chi teaches one to pick up on these sensations, the subtle signals of the whole body throughout the body, systematically and perseveringly. In reflecting on this however, it occurs to me there is not only the enjoyment of the sensations of internal energy, there is also dissatisfaction with other sensations in the body. I talk to students about this on occasion both in my studio and Internet Forums. Student's say during the playing of the form and then even afterward they notice areas of their body that are tight, achy, etc. One would call these the negative sensations. Certainly mind and body are disengaged at advanced levels and one is playing the Tai Chi subconsciously, yet the mind is “still minding the store” by monitoring both enjoyment or satisfaction and dissatisfaction. As some exampIes: I never used to give that much attention to my back, now I know of more areas where it is tight;I notice a plethora of areas in the body where things feel tight, tense, itchy, painful, etc. Then the sensations seem to go beyond the tactile to sight, hearing, smell, etc. Even when I am through practicing, almost as though the mind is still working on a subconscious level, I even have things like increased awareness of hunger, I feel hungrier, sounds seem clearer, lights seem brighter, etc. There is no doubt in my mind there is a greater diversity of signals on the negative things as well as the positive things; but are the "negatives" really negative, aren't they all just sensations after all? . Haven't we just interrupted the flow of internal energy where mind and body were disengaged; now we find ourselves naming things? I enjoy the sensations of internal energy, immensely. I still sit on the couch, even after 8 years and I do what is called quarter body movement, I do this seemingly without thinking; my wife nudges me, "stop that, it is embarassing". In understanding what happens when one begins to master the Tai chi however, the one disengages and becomes two; body disengages from mind. 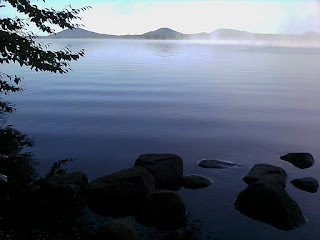 When body and mind are thusly disengaged of course we are doing Tai Chi; but what do we "hear" in regard to sensations? We hear of sensations some of which we assign as negative, one is dissatisfied; then there is what we assign as positive or satisfied. Is it not all "sensation" ; whether negative or positive, is there ever only one side to the coin? When I started Tai Chi in the 70's, we all were kind of trapped in Western hemisphere thinking. Nowdays, parts of Tai Chi which used to be difficult to explain have become easier to explain but which of course many do not believe; mind and body are one, but in Tai Chi they disengage. Nowdays, Buddhist monks come to the West and scientists study them, so the differentiation between East and West is slowly disappearing. In the 70's Rene Descarte's "turf deal" with the church (Cartesian Dualism) was dominating our understanding (we have a mind linked to a soul, which is also independent of our body). That illusion has faded with our study of the meditative “mind controls body” disciplines but what about “body controls mind” disciplines such as Tai Chi. I taught Tai Chi to Therapists at the Veterans Hospital in Buffalo in the 70's. At that time we were getting the first wave of returning vets from Vietnam; some of those armed service personnel had very serious trauma. They could not begin to relax; some lived in terror and they did not feel safe. What my Tai Chi students only partially realized at the time but what we now seem to know is those vets had sensations of combat imprinted in their bodies too. Scientists tell us now that mind and memory are imprinted on the whole body; their trauma is stored in their whole bodies. I tend to think our minds note every bit of information that is stored in our bodies, that we are big memory banks. It is truly great to revel in the enjoyment of the "sensations" of internal energy as Master Hwa says. In some ways however, this is a mixed blessing because as I say, we seemingly also get more to complain about with increased sensitivity to all sensations. Take heart that it is a gradual process however, I have experienced it thusly but certainly more intensely with Classical Tai Chi with its emphasis on Internal Discipline. Why are sensations so intense with Classical Tai Chi? I have done several other styles of Tai Chi and in none of them did I find such intensity. I think this is largely attributable to what is referred to as “one yin, one yang”. As passed on from Wu Chien Chuan to Young Wabu it was the most important instruction he gave: “Every movement in Tai Chi Form has to have 2 complementary sides of the body, a moving part yang and a stationary part yin. When the yin-yang junction is outside the body,the movement is external, when it is inside the body, it is an internal movement”. The profundity of this statement never ceases to amaze me, for the more I can keep still , the deeper I can make that stillness, the movement itself becomes deeper, more intense. This is referred to as "one yin, one yang". With one yin one yang we attain greater and greater levels of intense sensation internally. We refer to intense sensation in the core of the body; the long neglected torso where the internal organs are stored. 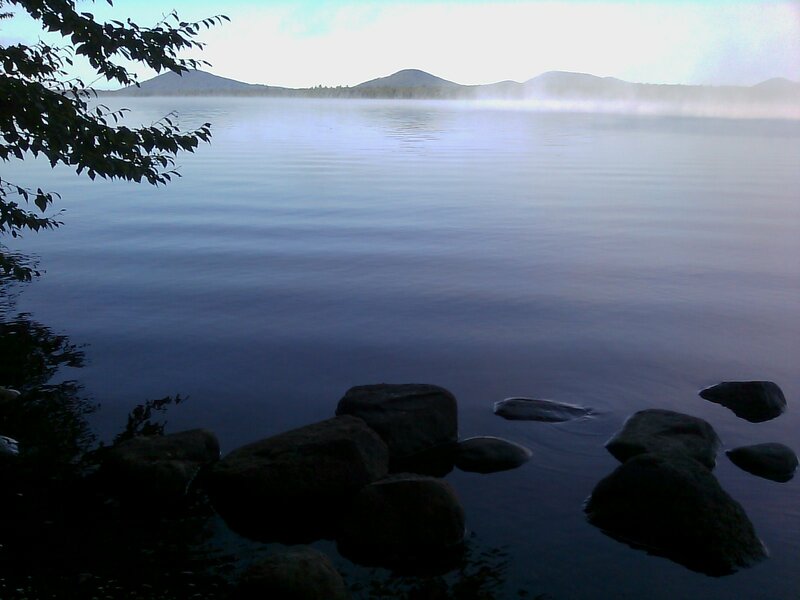 To reiterate, that is greatly dependent on how much stillness I can achieve which is then coupled with movement This is in sharp contrast to the commonly held notion that we get greater sensation simply from increased movement or being totally Yang. The true cause of "double weighting"
In meeting this student,I watched his Tai Chi form and his standing still. At one point, the student asked me to correct his stance, he then took the opportunity to “correct” mine. I observed from several different angles that he would stand and move with a step size of three foot lengths and more, (this is typically a large frame stance). In addition, I observed that he used a pushing motion to shift his weight and in the “sitback” posture would not work to obtain a “crease” in the front of the trousers at the pelvic area. He actually would sitback in a perfectly perpendicular stance, typical of large frame tai chi. Typically, I will stand in either a Compact or Tight-compact form with the step size ranging from one and a half foot lengths to two and a half foot lengths. The photo above illustrates this step size. From a view that is looking down at the feet ( the only angle from where the practitioner was looking) it may appear that the feet are double weighted, particularly to a beginner. 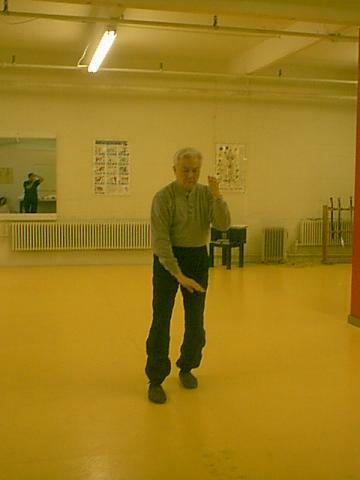 This however is one of the very important advantages of the Classical Tai Chi footwork. It is indeed hard to determine where the practitioner’s weight is, that is also a very important strategic advantage. From these compact positions I can lift either foot in a split second, a great advantage for speed and fluidity. In thinking about this article, I decided to research the term “double weighted” in numerous books which I list below. After sifting through all of them, one thing began to stand out and that was their ignorance of their own limitations. In every case the author makes a claim that a student can become aware of their own weight distribution and work to correct double weighting. The common thread in all theses is that “double-weighting” occurs at a moment in time when the weight is equal on two sides of the body. They ascertain what they think double weighting looks like but what they fail to ascertain however is the root cause of the double weighting. The root cause of double weighting is the “pushing from the back foot” in going forward and “push from the front foot” in going backward in a large frame that the vast majority of practitioner’s engage in while moving. The root cause I speak of is a direct result of this pushing because both feet are literally glued/frozen to the ground until the act of pushing is completed. A foot that is stuck to the ground, cannot be picked up and moved…hence the stance is double weighted. As I observed in the student’s own stance in performing the Tai Chi form and stance in push hands, the root cause comes from a large frame stance. The act of pushing is also a built in facet of large frame stances, in other words, large frame has to push in order to move…it cannot use the feet to pull. The pull in those stances is ineffectual simply because the larger size of the stance inhibits the act of pulling. To compound the ignorance, practitioner’s of large frame insist that they are doing an “internal” art when what they are really doing is external. It takes no internal movement of the core to push with the back leg, if that were true then the everyday act of walking would intrinsically be an internal martial art. Walking defined by one author as the act of controlled falling because of all the momentum one has to generate in order to keep thrusting one leg in front of another. This done not only to move but to stay erect while moving. On the contrary, one can make the act of everyday walking into an internal art by adapting the Classical Tai Chi walk with its important characteristics of 1.) Using a “pull” walking motion, 2.) Keeping the body center of gravity under control, not allowing it to fall forward as defined as normal walking (we must eschew the act of controlled “falling”), 3.) Body weight stays back until foot (whether in front or back) is flat on the ground, then one pulls…one does not land the foot either on the heel or toe. I find it interesting that some really good information on double weighting came from my teacher’s own book: “Uncovering the Treasure” by Stephen Hwa. The information comes from subjects in the book however that large frame practitioner’s would never associate with double weighting…namely the subject of “pushing”. PP., 48, 103 and 122 will find the use of the word “pushing” associated with double weightedness. P. 122: If you wish to stick to an opponent, you cannot push with the back or front foot and expect to be fluid enough to follow their movement. The act of pushing will always lead to double weight. P. 103: One can certainly generate (jin or even fa jin) force from a pushing leg in a large frame, but it still leads inevitably to a double weight situation. P. 48: Back foot pushing as front foot lands on heel is a major contributor to slps and falls and in that situation the stance is double weighted. Actually, if one wishes to "push" an opponent, it is best done with the front foot off the ground so that the pushing force goes directly into the opponent not to the ground to be double weighted. As my teacher says, "pushing is always strongest in the upward direction, look at what track and field sprinters do before starting...they crouch". Plutarch said: "The mind is not a vessel to be filled, but a fire to be ignighted". The lighting of an educational "fire" for light and heat to gain "treasure" can be fraught with problems : There can be many causes of this. Admittedly students like the wood are "green", and it will be harder to get it to 'catch'. If not enough starting material such as paper or in the case of Classical Tai Chi things like "silk reeling","basic walking" is used, it won't generate enough heat to get the fire going. Putting pieces of wood that are too large such as forging ahead too far too fast,, in the form on one's own, soon smothers the fire and it will die. If the fire is arranged so that air cannot get up through the wood,or one has built a "spaghetti like learning structure" as I outline below it will likely sputter and die. My teacher has said: "Silk reeling exercise is encouraged for not so advanced students so that they can experience some internal energy flow rather quickly. For advanced students who can play the form with ever move using internal discipline, silk reeling exercise is no longer necessary, since the entire Form practice is a complex silk reeling exercise with internal flow continuing without stop from beginning to the end." As I see it: The problem with learning too much of the form before "silk reeling" is like putting too much wood on a fire that has not really been burning for very long. Master hwa said: "I think if you have studied vol 1 Overview, it will be much clear,to you the overall structure, rational and goal of learning Classical Tai Chi. Vol 2 Form Instruction is teaching details. It will take a while learning individual trees before you can see the forest." The only thing this student seemed to accomplish was to be "lost". He seemed to want to clutter himself with too much information as fast as possible. The problem with "clutter" is that one cannot see the forest for the trees as my teacher says...the way is not clear. In the early stages of learning one needs direct pathways to find stuff...I refer to the establishment of "neural pathways" in the brain. Why burden oneself, complicate things with "neural paths" that resemble nothing better than a giant plate of noodles, with no starting point or end? The same holds true for starting on Vol. 2 DVD before viewing Vol. 1 Overview. That would be like buying a map that resembled a plate of noodles. It also occurs to me that folks don't much like my telling them how to get their learning organized, to get the "neural paths" in order. Cetainly, my aim is not to force anyone to do things right, it can be frustrating to students if viewed that way. However, I've seen too many students that aim too high or burden themselves with all the wrong concerns. Remember, the ignition of a fire cannot be rushed, it takes proper structure time and patience....and there is a distinct rationale to reaching that goal. "When you have something that works well, why complicate it?" The study of Kata cuts across all martial arts and Classical Tai Chi is no exception. In Tai Chi of course, the term Form is most often used instead of Kata. Prof. Geoff Lane of the Danzan Ryu JuJitsu system has written an article entitled "Back to Basics" which can be found here: Back to Basics. Professor Geoff Lane teaches jujitsu at the Nibukikan in Chico, California. Grand Master Young Wabu's daughter Lin-Yi Maslin also teaches Wu Style Tai Chi at the Nibukikan. My student Barry knows the travails of “forget” when it comes to his training in external martial arts. He has trained many years in a form of Karate to the level of a high ranking Black Belt. He is also a defensive training officer for the Government. Barry made good progress these past 2 years with the form and one can see he can go through much of it without thinking of what comes next. Note: This is really what comprises the 1st stage of learning Classical Tai Chi, wherein one can do the form in all the right directions. What is really next for 2nd stage is correct hand position, then 3rd is timing and finally 4th is integration of internal discipline. Barry feels chagrined about some things I mention but what I see is somewhat normal for the stage of learning he is at. In some respect that is that he holds his arms very close and tight (like a compact form with no internal discipline). That seems to create tension and compression of arms, one can see scrunching at the shoulders, tensing the neck. It appears he does not stretch at the shoulder, for that matter he keeps the wrong angles of arms for postures. Barry’s learning, scrunching, tension is not very different from other students who are at the same stage. However, they all, including Barry are more advanced than they think. Specifically, they do have internal discipline in the major movements, I can see core moving and engaging with the arms. My own teacher, Master Stephen Hwa touches on this “learning curve” in an email that I include here. So I thought about this some more and read pages 72 and 73 of “Uncovering the Treasure” (link to the book on this page). This is where the discussion gets into whether arm leads core or vice versa. I must say I got some inspiration for teaching him from this. Note: In some regard, I find that this is a situation where he truly needs to learn how to use his arms, which is clear to see falls into the realm of the 2nd stage…learning correct hand position. Now I spend a little more time with him doing repetitions of movements and pay particular attention to whether he is stretching at shoulder and keeping elbow down and not “chicken wing” the elbow out to the side. This seems to alleviate the scrunching and tightening at neck and shoulders. I am also doing this with my other students who started at the same time as Barry. By encouraging him to stretch from shoulder, one can see the proper angles and hand positions improving as well. After I sent an email to my own teacher on this subject, I recalled his narrative about his student Ernie and how his concentration on relaxing shoulder actually did not work because he was thinking about it too much. I include this link to the Tai Chi Forums (just click) and you just search for Forum 14, do a search for the word “shoulder”. Although Barry is not really ready for push hands, I thought the "solo" of that movement might be of some use. I see now that doing that solo push hands movement where one can stretch at the shoulder appeals to him. He seems to take to it naturally because of his Karate background . My telling him to stretch did not make much impression, however having him do the one person part solo of push hands seems somewhat intuitive for him. He does not show scrunching when he does that. So now time will tell if he makes that "transfer" to stretch shoulder lightly, keep elbow down to the rest of the form. Email from Master Stephen Hwa: Jim: I am teaching a group of not young people here (he is enjoying the wonderful climate in Florida after many years living in snow country). I do not expect them to really learn the whole form. So I started them on some of the silk reeling exercise including the "moving arm up while engaging the core". It is a hit to everyone. They love it. I know this is an upside down approach. But, if they enjoy it and getting somethng out of it. Why not? With our methodology of teaching this move, we do not need to follow the old tradition which teaches this only after ten years of tai chi training! Now a day one needs to keep student's interest otherwise they leave. Learning this kind of internal movement seems really appreciated by even the beginners.